Sign for H.P. Lovecraft Memorial Square. Photo by Chad Nelson. Chad Nelson Tweets this photograph of H.P. 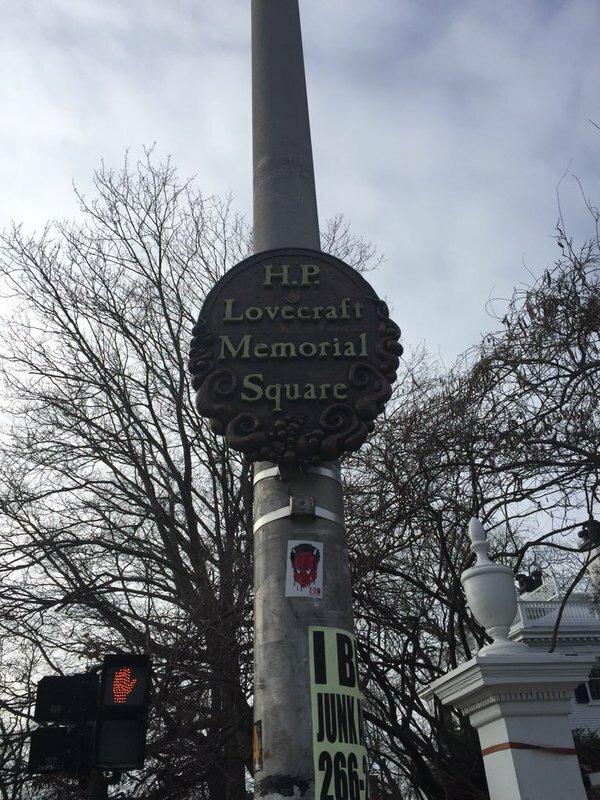 Lovecraft Memorial Square, in Providence, Rhode Island. Chad explains that this is located in the heart of the Brown University campus. A helpful article he sent me explains that his photograph shows a new bronze sign, installed last year using funding by Lovecraft enthusiasts, which has glow in the dark letters. It replaces an older wooden sign at the square, located at the intersections of Angell and Prospect streets. I don't know how much is available at Providence for Lovecraft tourists, but obviously there is something. Chad remarks that the sign is "incidentally only a few blocks from Benefit St., which is referenced in one Illuminatus! scene." 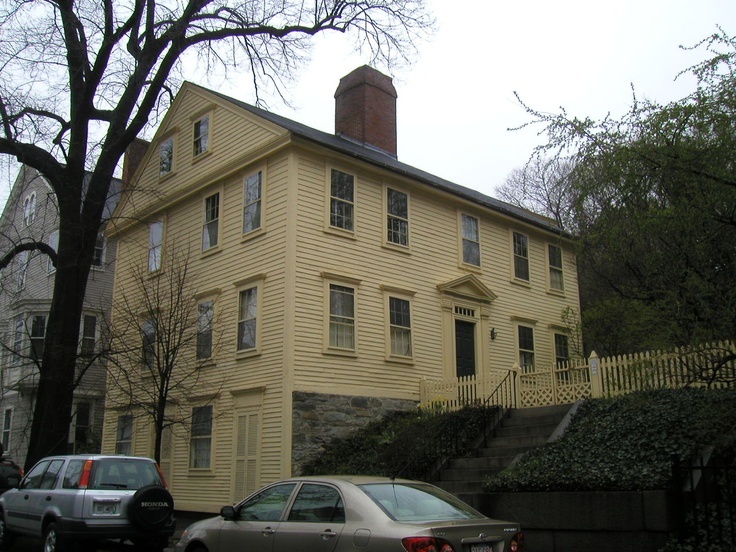 Standing before the house on Benefit Street, Drake could see, across the town, the peak of Sentinel Hill and the old deserted church that had harbored the Starry Wisdom Sect in the 1870s. He turned back to the door and raised the old Georgian knocker (remembering: Lillibridge the reporter and Blake the painter had both died investigating that sect), then rapped smartly three times. Howard Phillips Lovecraft, pale, gaunt, cadaverous, opened the door. "Mr. Drake?" he asked genially. "It was good of you to see me," Drake said. "Nonsense," Lovecraft replied, ushering him into the Colonial hallway. "Any admirer of my poor tales is always welcome here. They are so few that I could have them all here on a single day without straining my aunt's dinner budget." He may be one of the most important men alive, Drake thought, and he doesn't really suspect. For more on Lovecraft and Providence, please see my earlier Illuminatus! reading group blog post. From the comments: Lovecraft's College Hill Walking Tour. I spent a fun day in Providence in 1987 visiting Locecraft sites. "I don't know how much is available at Providence for Lovecraft tourists, but obviously there is something." I would imagine that Lovecraft would be horrified that his beloved Providence is in the hands of mongrel southern Europenas with names like D'Ammassa and Di Filippo.